The total world population of mountain gorillas has risen to 880, according to census data released today by the Uganda Wildlife Authority. The number of mountain gorillas has increased from the 2010 estimate of 786 after a count in Uganda’s Bwindi Impenetrable National Park. 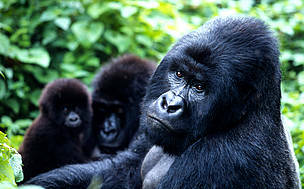 The critically endangered animals live only in two locations, Bwindi and the Virunga Massif area, which spans parts of Democratic Republic of the Congo, Uganda and Rwanda. A total of 400 mountain gorillas have been confirmed to be living in Bwindi and 480 were counted in the Virunga Massif in 2010. Both populations have had positive trends in population growth over the last decade. “Mountain gorillas are the only great ape experiencing a population increase. This is largely due to intensive conservation efforts and successful community engagement,” said David Greer, WWF’s African Great Ape Programme Manager. Many mountain gorilla groups have been habituated to human presence and are a major tourist draw. In addition to supporting the important surveillance activities of park staff, visitor revenue has been reinvested into community projects such as wells and schools. Mountain gorillas live in social groups and the census results indicate that the 400 mountain gorillas in Bwindi Impenetrable National Park form 36 distinct social groups and 16 solitary males. Ten of these social groups are habituated to human presence for either tourism or research. The Bwindi mountain gorilla census was conducted by the Uganda Wildlife Authority with support from l’Institut Congolais pour la Conservation de la Nature and the Rwanda Development Board. 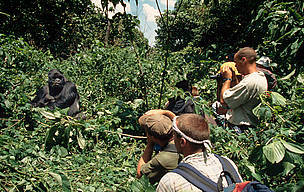 The census was also supported by the International Gorilla Conservation Programme (a coalition of the African Wildlife Foundation, Fauna & Flora International, and WWF), the Max Planck Institute for Evolutionary Anthropology, Conservation Through Public Health, the Mountain Gorilla Veterinary Project, the Institute for Tropical Forest Conservation, and the Dian Fossey Gorilla Fund International. The total population of the mountain gorilla subspecies is about 700 individuals, split almost evenly into two groups: one in the Virunga range of volcanoes on the Uganda-Rwanda-DRC border, and the other in Bwindi Impenetrable National Park, Uganda. 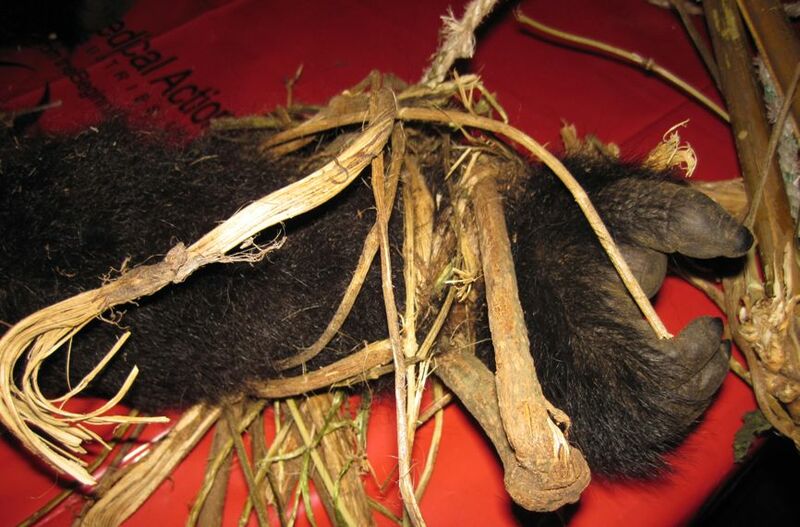 A three year old mountain gorilla died after being caught in a poacher's snare.